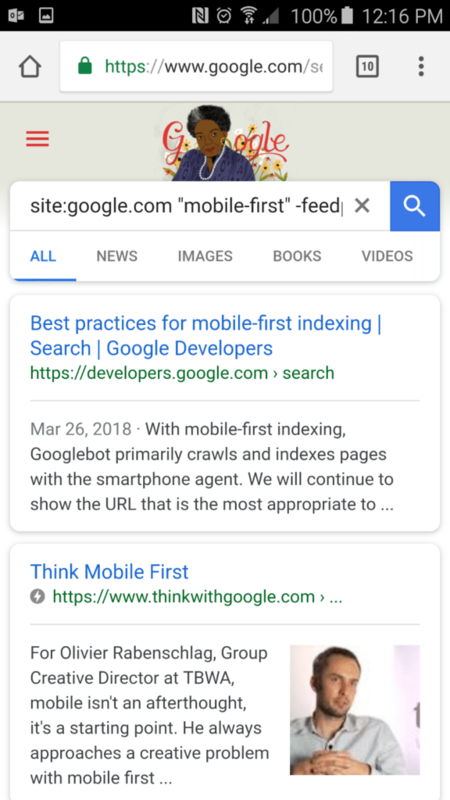 There are so many people and companies writing content about Google’s impending change to true “mobile-first” indexing that it can make your head spin, especially with all the speculation of what it will take to do it right. That said, yes, I’ll also be writing about this same topic, but I’m going to not only focus on highlighting sources for best practices, but will also highlight just a few of the warning signs that were the early indicators that this was coming. If you had not heard about this until late 2017, you might as well fire any executives and agencies that did not bring this up and start looking for people with actual eyes on what is happening. Let’s start with some of the history and what better than reviewing Google’s own published content. Back in 2011, Google already was referencing “mobile-first” in its own posts. Interestingly, that post specifically speaks to looking at the mobile experience from the design perspective, but, even more interestingly, looking at the design process from the mobile version as the starting point and working up to the desktop site. So why is it such a surprise now that Google is pushing this flip-flop of the traditional site design process? It isn’t. People were just not listening. Google was seriously focused on Mobile. Some of the key quotable stats are that “there are now 1.5 billion mobile subscribers globally” and that is growing at “an astonishing growth rate of 31%”, but also that “in the U.S., smartphone adoption has passed 61%”. Now, this may have been something you already knew. That said, we now keep hearing things about “intent” being a part of the derived relevance and one of the additional driving factors for the priority focus on Mobile. Sure enough, when reading through this old whitepaper, we see this being the key point when they state: “’Why should I visit your website and use your business?’ What you offer users, what they expect from you, and what they can achieve at your site should all fit together.” Basically, satisfying “user-intent” has always been a part of relevance, but now Google was calling this out and relating it to Mobile. Obviously, since the end of 2016, you could not avoid hearing about Google’s impending change to ‘mobile-first indexing’. Even if you did not see the piece published by Google on November 4th, 2016, you probably heard about it not too long after. One of the other big pushes with this change has been “Structured Data Markup” on both Desktop and Mobile sites. Again, another “early warning” of what Google wanted site owners to focus on. Yet, there are still so many sites and site owners who don’t know what ‘schema.org’ is, including what they need and why. 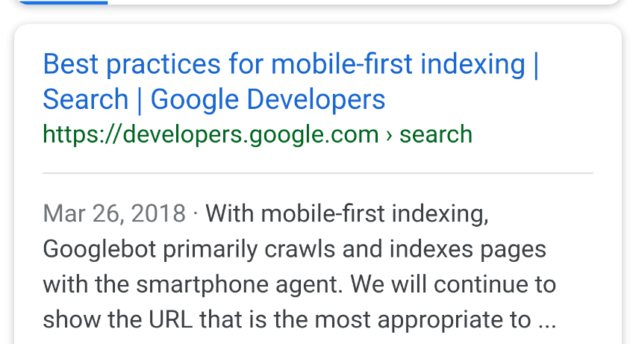 At this point, Google is even simply posting even more bluntly titled content like this piece “Best practices for mobile-first indexing”, so again, are you ready? I like to joke that Google is a “’content” producer that also runs the world’s most successful search engine. That stated, to me it isn’t really a joke. Google publishes more content than almost any site on the web. It is published to provide clues for those paying attention, but also to satisfy the user-intent of all business owners. This all should have been in the knowledge banks of anyone with ‘online’ or ‘ecommerce’ or, let’s be honest, any executive that is overseeing a business that operates online, from the c-class down to the managers. This is the time to truly understand and evaluate whether your Marketing Team and/or Executive Team is worth the salaries or, maybe it is the fault of the organization due to not keeping your folks in-touch with what you have them for. Figure it out. Fix how your organization gets market knowledge, especially general knowledge like this. Contact Vizion Interactive today and let us look to see if you are ready, after all, you got a month…maybe 3 to have everything ready for ‘mobile-first’ indexation.